Home EXAM-TIPS OICL Last Minute Tips for OICL AO Prelims Exam 2017-18. 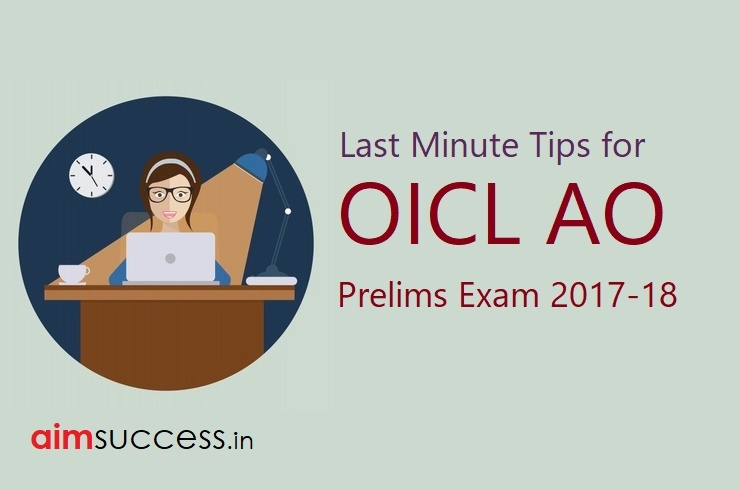 Last Minute Tips for OICL AO Prelims Exam 2017-18. Very soon you’ll appear for OICL AO Prelims exam and this is the time that you finish off your preparation; revise and relax. You need not buzz your mind with plenty of questions about the exam…you’ve done your part with proper preparation and adequate practice. Now just keep in mind the essentials and foremost thing for OICL AO Prelims Exam and here to help you out with that we’ll be discussing some important tips for the exam. Keep on reading for Last Minute Tips for OICL AO Prelims Exam 2017-18. Make your own plan in lieu of being a sheeple. Every person has different strong and weak points and you need to identify your strengths and devise your exam plan yourself. Do not blindly go on with the hearsay of peers and friends, think smartly and act smartly. OICL AO Prelims exam has 3 sections English, Quantitative Aptitude and Reasoning with a total of 100 questions (30 English, 35-Quant, 35-Reasoning) for a composite time of 60 minutes where you have to divide time yourself for all three sections. Take a test today and finalise your plan for the day of the examination. This can help you a lot in adding that much-needed finishing touch to your exam strategy. Take a mock test and practice your skills of time and topic management before the actual face off. Analyse your performance after the test. 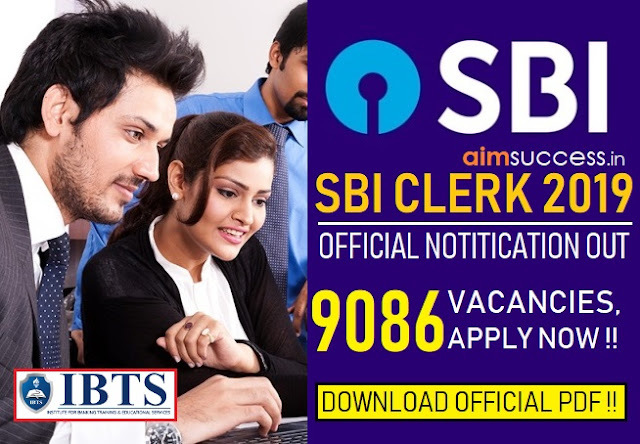 You can test yourself with some online Test for OICL AO Prelims 2017. Well, it is quite probable you may feel you know the concepts to solve a question just too well yet you are unable to crack it in the exam time, so just skip it, and take another question. Skip a question if you feel it is too time-consuming or you might not be able to get it right, at the end you have to score enough to clear sectional and overall cut off. Let nothing kill your speed! Be wise and spare some extra seconds to carefully read the instructions. It is good to be fast and save time when you have 100 questions for just 60 minutes but you have to be wise and careful as well. Instruction or directions of a question are very important and you should read the instruction of every question you are about to attempt. What if it was something you’ve already practiced but asked in a twisted way! You can actually save marks by reading directions carefully. You need to keep in mind that you have to do a decent number of attempts in both the sections of OICL AO Prelims exam. 15 minutes for English, 20 minutes for Reasoning and 25 minutes for Quant this can be your mool mantra of maximum time spent per section. Do not ignore simple questions; they may require you to be cautious. Simple or easy level of questions can be your saviour in OICL AO prelims, so don’t just get engrossed in the difficult ones. Read the instructions carefully, and attempt simple or easy level questions to gain plus points in your scoring bag. 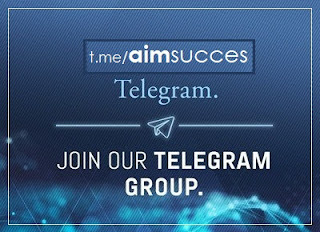 You’ve been longing for this opportunity. So tomorrow keep at a bay from making silly mistakes. Carefully solve and analyse question, do not presume things, just read the direction and be careful as you will have negative marking. Get the thought of ‘cut-off for OICL AO Prelims ’ out of your head. If the examination is of an easy level, it will be for everyone else appearing tomorrow, so is the case even if it turns out to be of difficult level. This moment and in these days you should be practicing rather than quivering over the thought of cut off. First, concentrate on the exam and making a decent number of attempts according to its difficulty level. Rest things will fall into places. So don’t overburden yourself and refrain from diverting your concentration.